A camping trip seems like the perfect plan for you this weekend. Hauling the camper behind your vehicle appears to be a bit daunting. A responsible dealer doesn't want any mishaps or disasters with the camper. One way to avoid any involves troubles involves taking the necessary preparations. This way, your vehicle can do the necessary hauling. 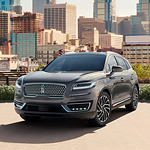 There are a ton of reasons to look into the 2019 Lincoln MKC as a vehicle that you can drive. Among the reasons is that it offers you options on the type of driving experience you want. We make sure that we represent these options at the Bob Utter Lincoln lot. The Lincoln Continental available from Bob Utter Lincoln is a large-sized car with room to seat five adults comfortably. This vehicle's interior is the epitome of luxury, and the Lincoln Continental has the power and adaptability you expect from a luxury vehicle. The Lincoln Continental comes with a 3.0-liter V6 engine that is twin-turbocharged. The engine is powerful providing up to 400 horsepower and 400 pounds per feet of torque. This helps to provide quick acceleration and a smooth ride. The team here at Bob Utter Lincoln are always looking for opportunities to educate those in the market for a new vehicle. Today we highlight the Lincoln Nautilus, a new luxury crossover that is packed with helpful technology features. Are you anxious about the decision that you have to make as you pick out a vehicle to purchase? You would like to get into a quality vehicle that does not cost too much. You should consider the popular option that is available to you, you should check out the Lincoln Certified Pre-Owned vehicles that are listed for sale. 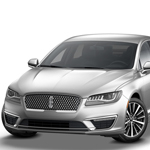 The Lincoln MKZ remains popular among conscientious consumers who adore luxury and dependability. 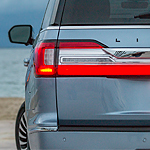 Lincoln's latest models are more visually appealing than ever. See the aesthetic upgrades by exploring our Sherman inventory. The 2019 Lincoln MKZ is sleeker in overall body design without sacrificing elegance. 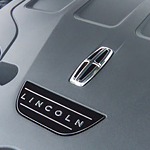 The chrome grille and Lincoln logo combined with the chrome headlight accents exude luxury and get you noticed. Yet are not overly indulgent. 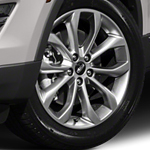 Choose the 19-inch wheels with seven or 10 aluminum spokes and accent painting to enhance the vehicle's appearance. In addition to being one of the most acclaimed luxury crossover vehicles, the new Lincoln Nautilus is equipped with performance features to ensure a smoother ride. At Bob Utter Lincoln, we feature these cutting-edge vehicles that are perfect for anyone who wishes to take their driving experiences to the next level. To give you the power, performance and quietness that you desire, the Lincoln Nautilus comes with a twin-turbocharged 2.7L V6 engine. This 335-horsepower engine lets you get the right amount of power with its 380-lb.-ft. of torque. The engineers at Lincoln understand the importance of outstanding vehicle performance. That is why the new Lincoln MKC has been designed to adhere to highest of performance and capability standards. 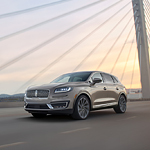 The Lincoln enthusiasts at Bob Utter Lincoln are eager to introduce you to this popular luxury crossover and show you all that it can do for you and your automotive needs. The Lincoln Navigator is a beautifully designed full-size SUV that's built to keep you safe and alert. It's available to drivers in Sherman with advanced safety tech features. Our team at Bob Utter Lincoln is excited to show you how this SUV can change the way you drive. Some of the most useful features available are Adaptive Cruise Control and Pre-Collision Assist. Adaptive Cruise Control allows you to designate a speed and the distance you want to stay from the vehicle in front of you. It can maintain these settings even in traffic situations. Are you on the hunt for a mid-size sedan? Are you looking for a luxury option with great technology? 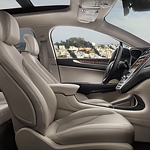 The Lincoln MKZ is a popular sedan and one that has many important technology features. This luxury vehicle from Lincoln can keep you happy as you travel in Sherman and beyond.